International adoption is a life-saving form of care for children who do not otherwise have families. Yet, professionals and families find ourselves increasingly on the defensive from an unwarranted amount of scrutiny and criticism, both abroad and in the United States. Mainstream prime-time television shows in the United States, domestic and foreign press, and foreign politicians bombard the public with stories of kidnapping, corruption, body part sales, and greed that make it appear to those with no personal experience in adoption that international adoption is somehow an evil institution run by thieves, sinners, and ingrates. While these stories do wonders for television ratings, newspaper sales and political careers, they have a devastating impact on children whose only chance for survival and success in life is through international adoption programs. Country adoption programs are closing everyday due to disproportionately negative media, misinformation and ultimately tainted public perception of international adoption. The time has come for adoption professionals and adoptive families to put an end to the propaganda and use our collective power to correct public perception. Otherwise, international adoption could soon become extinct, dooming millions of children around the world to childhoods languishing in underfunded orphanages, or life on the streets, with dim prospects for adulthood beyond drug dependency, crime and prison. The international adoption community has a responsibility to act, for the benefit of these children, and the sooner the better. There are over 20,000 children from foreign countries adopted by American families every year, and hundreds, if not thousands, of dedicated professionals who devote their lives to bringing these families together. And we all have family and friends who have become as invested in our children as we have. Altogether, we number in the millions, and are a grateful, proud and passionate bunch who recognize the true value of our contributions. Many of us silently wonder where our children would be today had international adoption not allowed us to intervene in the lives of the children who we cherish. It frightens us to think about it, let alone speak about it out loud! Yet, we must, for there are millions of more children who face the prospect of no such opportunities because of a brewing firestorm of damaging negative misinformation. The Tipping Point, How Little Things Can Make a Big Difference(http://www.gladwell.com/tippingpoint/). It is time to use our stories, knowledge, experience and power to educate the world that international adoption is a wonderful institution that warrants positive recognition – not undue focus on scandal. As a group, we need to “tip” public perception of international adoption where it belongs, as a positive blessing rather than a series of negative scandals. By recounting our experiences and stories to everyone and anyone who will listen. Every inappropriate question, comment or “joke” by those around us should be recast in our minds from mere annoyances to opportunities – opportunities to educate those who need to know that adoption is a life-saving form of care for children in need. Tempting as it is to brush their comments under the rug, or to launch into an emotional counter-attack (baring our fangs and calling critics ignorant and uninformed), their comments derive from lack of information, or exposure to biased reporting. Knowledge is power. Give them the knowledge they need to understand the situation, and perhaps become a messenger themselves to continue to spread the word. We also must not exclude the media as a valuable resource to spread the word. Yes, today the press seems fixated on exposing the juicy adoption stories involving corruption or fraud. Yet, we need to give the media the raw material in the form of our stories so that they can see that positive adoption stories are truly far more remarkable than any scandal. Make the press see that the juicy story is truly that of Masha, a child like yours. Masha was saved from a life of prostitution and drugs by a family from halfway around the world who had the resources and desire to care for her. Because of the love and nurturing of this family, which came together through international adoption, Masha became a nurse, or a teacher, and perhaps even a loving mom herself. This is the juicy story worthy of reporting. Sharing our positive experiences and accomplishments far and wide, including with the media, can have an enormous positive impact on public perception due to its access to wide audiences. But we need to consciously work to get the message out. That’s simple -- international adoption is the single best opportunity for children who do not otherwise have permanent families to grow up to be happy, thriving, productive members of society and to achieve their personal potential as human beings. The experts widely agree that institutionalization is harmful to children’s physical, intellectual and emotional development. Even the most lavishly funded orphanages fail to offer the opportunities for nourishment and development that a permanent family offers. Statistics from countries like Russia are plentiful, which demonstrate that children who grew up in institutions had increased rates of suicide, drug and alcohol abuse, and criminal activity. No alternative, including, foster care, offers the same opportunities for a child as having a forever family to offer unconditional love and the resources for their child to achieve his or her personal potential. Many of us may assume that these facts were universally recognized. They are not, and it is important to reinforce the notion that a child needs far more than a roof over his head to grow and flourish in his life -- children need families who will love and nurture them – in order to grow into secure, productive and happy adults. We should also recognize that foreign perception towards international adoption is often hostile due to factors such as cultural differences, lack of knowledge and, ultimately, fear. We need to understand that fear so that we can respond to it productively. Consider the fact that the hostility towards adoption may be due to a cultural bias in favor of bloodlines, a lack of understanding of adoptive parents’ motivations and goals, and ultimately distrust towards those with whom they cannot identify. Many foreigners wonder why would someone from halfway around the world want to bring a child from another culture into their home. And they assume the motives are bad since they would not make the same decision for themselves and their own families. Distrust of this nature plagues international adoption in almost every country and is best demonstrated by the inevitably-spread, never-validated rumor that international adoption is simply a guise for the buying and selling of body parts and organs. Yes, it’s true -- this rumor is alive and well in many civilized nations from around the world! Even the BBC World (regarded by many as “credible”) "reported" the dreaded “body part/organ” rumor as fact in Baku, Azerbaijan in 2004. Investigations into these rumors have ensued in every country where adoptions occur, and have never resulted in a single finding of truth. 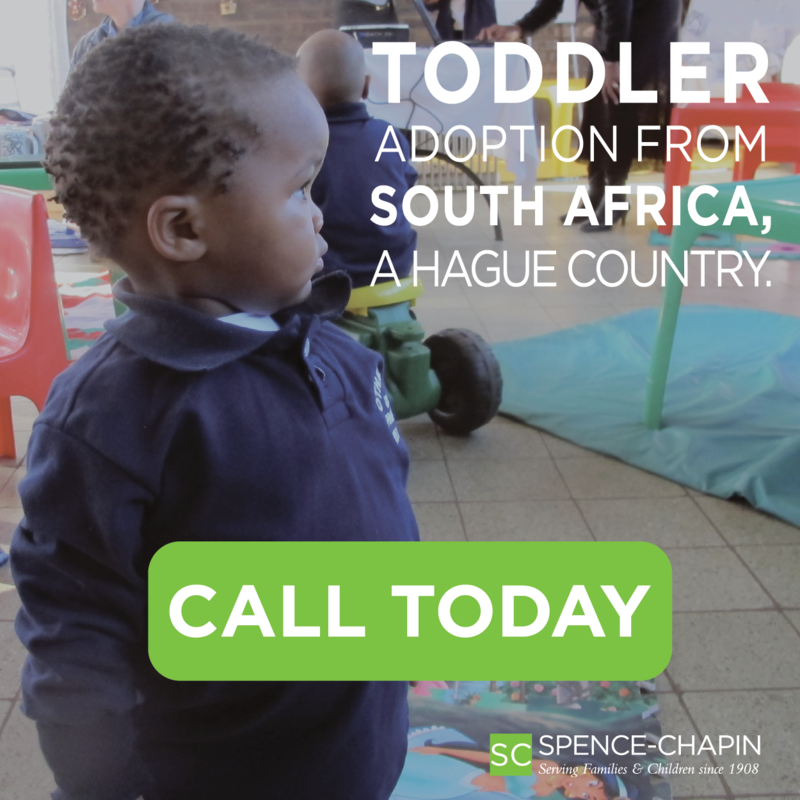 Nevertheless, it continues to emerge and threaten opportunities for children to find homes through international adoption in almost every country where such adoption programs exist. We need to humanize ourselves in foreign countries so that foreigners can see our families, relate to us, and, perhaps, better understand our honorable motives. And they must see the children whom they sent abroad for adoption, growing and thriving through pictures, stories, and videos. Humanizing ourselves and our families to the foreign public is the only chance we have to overcome the fears that are widely held and extraordinarily damaging. The misinformed state that fees paid for adoption demonstrate that it is easy for rich Americans "buy and sell" people like commodities. Again – educate! Tell them first that the process is anything but “easy.” Tell them that adoptive parents open themselves up to the highest degree of scrutiny by the American officials and foreign officials to ensure that they are fit parents. Tell them about the hours you spent gathering documents to share with these governments including tax returns, criminal background checks, child abuse clearances, employment and salary verification, just to name a few. And, of course, recount the numerous meetings you had with social workers, approval at the state level then the federal level, all before going through this all over again on the foreign side. The world should know that American families endure months or years and a great deal of effort to demonstrate that they are fit parents, and that their motives are to love and nurture a child for the rest of his or her life. Foreigners also widely misunderstand the basis of fees for adoption. Tell them that any fees paid during the course of this process are not to “buy” a child. Rather, fees are for services to ensure the integrity of the process and keep corruption away. Every protection put in place to protect children corresponds to procedures in both domestic and foreign processing, and that these procedures are onerous and must be followed to the letter of the law. Doing it right demands the navigation of laws, procedures and challenges by intelligent, conscientious, and ethical individuals who choose to dedicate their time and attention to help find families for children despite their qualifications to work elsewhere. The focus should not be on the fact that fees are paid, but, rather, on transparency as to how the fees are spent and assurance that no fees were given to a birthmother to influence her decision in favor of making her child available for adoption. Critics should also know that international adoption is a non-profit, humanitarian mission. Tell them that American agencies working in this field are primarily non-profit, government-licensed and subjected to accountability on a regular basis for our activities. Individuals working in this field have often given up lucrative careers in other industries to help these children. We are highly trained, exceedingly committed, and passionate about the work we do. We want nothing more than to find homes and families for children who do not otherwise have these benefits. There are millions of children in this world who need these things, and we do not need to engage in illicit activities to find them. You should also correct the misplaced characterization of orphaned children from foreign countries as “resources” to those countries that should not be “given away” to foreigners. This argument sounds nice on the surface … “resources” certainly has a positive ring to it. But think about it -- children left to languish in orphanages or to fend for themselves on the streets (sniffing glue to stop the hunger pangs) are not being developed or utilized in a way that could reasonably be shown to render them resources to their country (unless you count the insulting suggestion that they should be preserved to join their birth country’s armed forces). In any event, this argument is misguided, as the rights of children to grow into healthy and happy adults should be a separate and important concern that outweighs political considerations, imperialism and national pride. And, most importantly, do not let those around us continue to “confuse” the terms “child trafficking” with “international adoption.” Many of those with a political agenda use the term interchangeably to suggest that somehow adoption is morally corrupt. The concepts are truly diametric opposites, and the distinction is worth making at every opportunity! Explain the difference! Child trafficking involves people illegally, immorally and often violently removing children from their homes and placing them with people who intend to use them for illegal and morally corrupt commercial purposes such as slave labor or prostitution. In contrast, international involves adoptive parents who have spent months going through invasive approval processes, additional months or years of waiting for a child, all in the hopes of having a child to love and care for during the duration of their life. They follow the legal process of their child’s birth country, as well as their own, to ultimately give a child a loving home when no such opportunity exists in their own country. Indeed, child trafficking is a very real threat to the well-being of all children and must be routed out at all costs. It also exploits the desperation of birth mothers to want to do what seems best for their children under difficult circumstances by going around the law and procedures to achieve an improper end. It is incumbent upon all of us to correct this “confusion” by reminding those around us that the former is a poison, while the latter is a blessing. Using the terms interchangeably perpetuates the notion that international adoption is inherently corrupt. Finally, give them facts and resources. We have in our midst some fantastic legal and medical experts with credentials that are beyond reproach. Point to their extensive research, first-hand experience and praiseworthy articles when discussing your confidence and pride in the adoption system. Any critic will have a hard time refuting the impressive mountain of study behind your comments. Utilize these resources, and allow uninformed critics to challenge them! The bibliography attached to this article should be everything you need to refute the undue, unwarranted criticism of someone who labels himself a serious critic of international adoption. You should also feel free to refer to the sample questions and answers attached to this article should you seek further information or explanation. It is time for us to “tip” the public perception of international adoption toward the positive. To accomplish this, we must first shift our perceptions of ourselves from lucky and fulfilled adoptive families and professionals, to advocates – voices for the children who have not yet been afforded that chance. We are messengers, presented with opportunities at every turn. We must start to take advantage. Little things certainly can make a big difference. Sara Dillon, “Making Legal Regimes for Intercountry Adoption Reflect Human Rights Principles: Transforming the United National Convention on the Rights of the Child with the Hague Convention on Intercountry Adoption,” 21 Boston University International Law Journal 2, 179 (Fall 2003). Elizabeth Bartholet, Harvard Law Professor,”International Adoption," publication forthcoming as chapter in ADOPTION AND FOSTER CARE, Lori Askeland, ed., to be published by Greenwood Publishing Group, Inc. in 2005. Elizabeth Bartholet, Harvard Law Professor, "International Adoption: Propriety, Prospects, and Pragmatics," 13 J. Am. Acad. Matrim. Law 181 (1996). Frank, et al, “Special Article: Infants and Young Children in Orphanages: One View From Pediatrics and Child Psychiatry,” Pediatrics V. 97, No. 4 pp 569-578. Children’s Hospital Boston, Pediatric Views, http://web1tch.harvard.edu/views/june03/adoption.html. Bruce D. Perry, M.D., Ph.D., “The Cost of Child Maltreatment: Who Pays” We all Do,” (Ed. B. Geffner) Haworth Press (reprinted in www.childtrauma.org) . American Academy of Pediatrics Committee on Early Childhood, Adoption and Dependent Care, “Developmental Issues for Young Children in Foster Care,” Pediatrics Vol 106 No. 5, (November 2000).